The 1,3-propanediol (1,3-PD) synthesis operon (dha operon) was mainly composed of four genes: dhaB, dhaT, gdrA, and gdrB, which encoded glycerol dehydratase, 1,3-PD oxidoreductase and reactivating factor for glycerol dehydratase, respectively. In the present study, dha operon was cloned from 1,3-PD producing strain Klebsiella pneumoniae. Heterologous expression of cloned dha operon was carried out in Escherichia coli and Saccharomyces cerevisiae W303-1A, respectively. 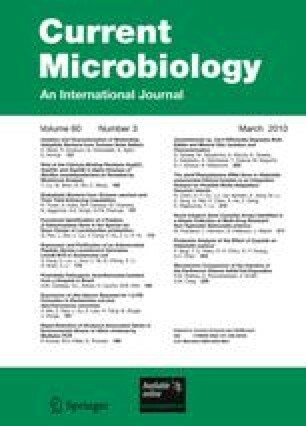 The results indicated that recombinant E. coli harboring the dha operon can produce 8–9 g/l 1,3-PD from glycerol while the 1,3-PD yield of recombinant strain W303-1A-dha could not be detected. In order to complete the 1,3-PD production from glucose, further, we also constructed the recombinant S. cerevisiae W303-1A-BT harboring plasmid pZ-BT. The 1,3-PD production and enzymatic activities of DhaB and DhaT were found in the engineered strain W303-1A-BT. Our results demonstrated that the recombinant S. cerevisiae strain W303-1A-BT that can produce 1,3-PD at low cost was constructed. This study might open a novel way to a safe and cost-efficient method for microbial production of 1,3-PD. This work was supported by the National Natural Science Foundation of China (20676053, 30970056), National Programs for High Technology Research and Development of China (2006AA020103, 2007AA02Z207), Program for New Century Excellent Talents in University (No. NCET-07-0380), and National Basic Research Program (973 Program) (No. 2007CB707800).